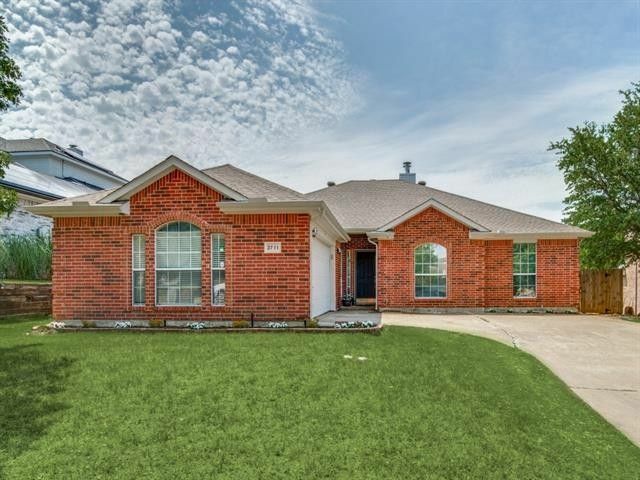 Located in sought after Sachse, this hard to find 4 bedroom is move in ready. New carpet installed in all 4 bedrooms, June 2018. Roof, insulation & gutters installed 2015. Smart floorplan includes master location separate from secondary bedrooms with kitchen opening to large living area and breakfast room. Master bedroom enjoys direct access to large covered patio, dual sink vanity, separate tub & shower and large walk in closet. 2 car attached garage. Walking distance to great schools, easy access to George Bush turnpike, Firewheel Mall, restaurants and entertainment. Well priced and won't last long. Directions: From George Bush toll road, take Miles rd. North. Left on Hudson. Left on Annapolis Ct. Right on Potomac Dr. Property is on the left.